Hastings Online Times – Christmas is coming! HTH Vicar, Simon Larkin says, “We hope Christmas will be a time full of joy for everyone. It’s a great time to show how we care for our local community, and that’s why we welcome everyone of any age to come and enjoy our festive events. “We start getting into the festive spirit on 2 December at our morning Sunday services, where everyone can come wearing their favourite Christmas jumper. The following Sunday on the 9 December, we have our Nativity experience service with real animal petting for all the family. On the 16 December, we’ve got a special carol service which will take us on a creative journey of discovery looking at ‘The Gift’ we have in Jesus, followed by hot Christmas drinks and mince pies. 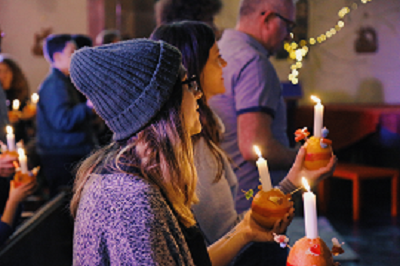 “Our candlelit Christingle service on the 23 December with its carol singing and kids’ craft session is also very popular with families. 11.15am on 2 December: A service with the chance to wear your favourite Christmas jumper with pride! 11.15am on 9 December: An interactive Nativity service and petting zoo for all the family. 9.30am on 23 December: A Lesson and Carols, traditional style. 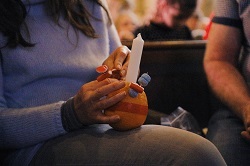 11.15am on 23 December: Christingle Service, making ‘Christingles’ in the service. 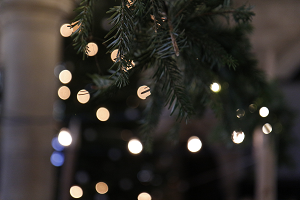 11.15am on 30 December: Family Focus service – ideal for visiting family members.